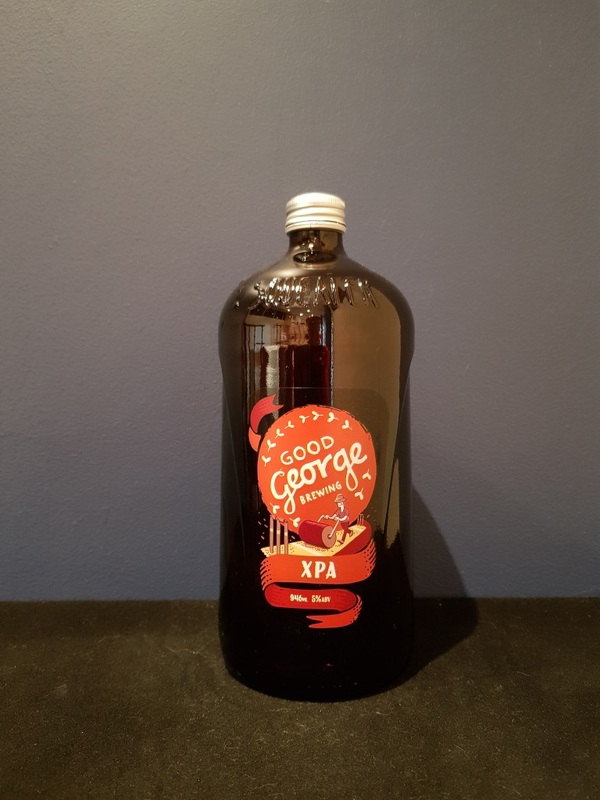 Beer #2877 is an extra pale ale brewed by Good George in New Zealand. My second from this brewery that I discovered at Dan Murphy yesterday. This is another solid brew, quite hoppy with tropical fruits, particularly mango. There is no bitterness to speak of. The bottle size is 946ML with an alcohol content of 5.00% (containing approximately 3.70 AU / 4.70 UK standard drinks), and it costs $15.00.